We recently took a trip up to the Specialized headquarters in Morgan Hill, California for a chat with MTB Category Manager, Joe “Buck” Buckley and Global Public Relations Manager, Sean Estes. As eBikes find their way into the two wheel world they are causing quite a stir, particularly in the United States. As a brand that certainly doesn’t shy away from controversy, Specialized has been a strong, vocal advocate of “pedal assist” eBikes. Back in March 2016, they invited us to a press camp where we rode the “Levo” on OHV trails in Moab. 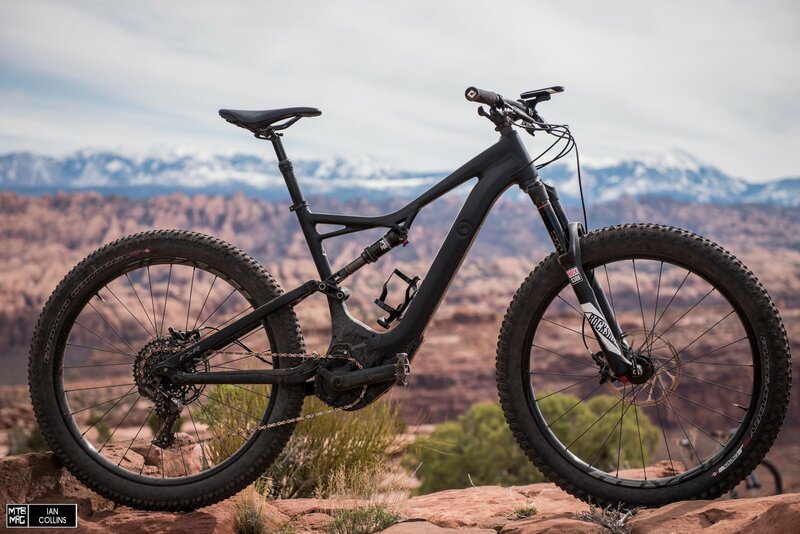 The Turbo Levo: the eMTB that started it all…At least in a high performance sense, and in the US anyway. Sean on the left and Buck on the right. 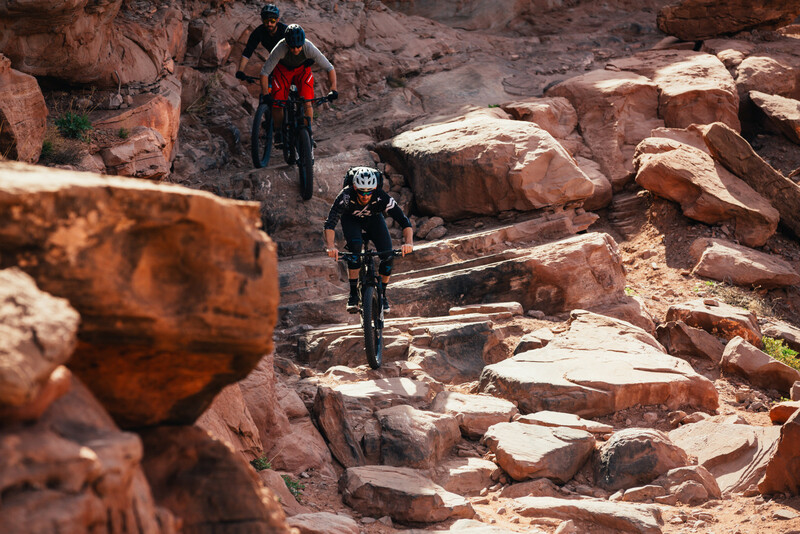 MTB-Mag: As a big brand who’s taking a strong public stance as being pro e-Bike, lots of riders who might take a somewhat neutral stance on the topic are basically putting it all on you guys (manufacturers in general) to “deal with” advocacy issues. As manufacturers do stand to gain a great deal in terms of bottom line dollars, that makes sense to a limited degree…But from a logistical standpoint, it’s borderline absurd. Realistically, how far can a brand really go down that rabbit hole when it comes to assuaging trail access issues at every single local trail network in the US? Shouldn’t there be some culpability from the eBike consumer? Sean: I would say, eBikes are not all that much different from regular mountain bikes in this regard. For example, IMBA has a lot of individual supporters, and a lot of manufacturers—such as ourselves—who support their efforts as well. The bottom line is really this: if you’re a mountain biker, it’s your responsibility to be involved. Specialized doing our part to ensure access serves our best interests both from an individual perspective as riders, and from a business perspective as a manufacturer of bikes. There’s no reason why a business can’t be both profitable and socially responsible. In fact that’s exactly what a business should aim to do. Buck: We could probably learn something from the motorcycle industry; I have a friend who works for Honda and spends a lot of time on the advocacy side of things. In that industry, all of the major manufacturers banded together to work with legislators in an attempt to try and keep trails open after losing a great deal of access. So far there have been some early efforts by the BPSA, who helped out in establishing classifications within the eBike category, but much more work needs to be done. MTB-Mag: If you look at MTBs as a whole and where they started, eBikes have a huge leg up because they’re going through their renaissance after regular bikes have already pioneered a great deal of the R&D work. Generally speaking, we’ve already made leaps and bounds with big things like suspension, disc brakes, drivetrains, dropper posts and more. 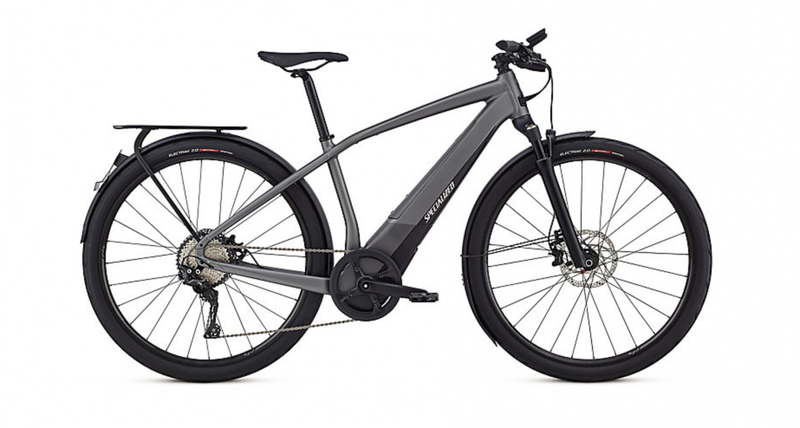 Given that eBikes are still in their infancy, through a more high performance lens, what do you think will be the standout breakthroughs over the years? Battery size? Battery life? Chassis weight reductions? User interface improvements? Sleeker integration? Buck: You know, it’s true that eBikes did sort of have a leg up, and in America we think of them as pretty new, but in Europe they have been around for a long time. When we started working on eBikes 4 years ago, we bought a bunch of competitors’ stuff and it was exciting for us because we saw a huge opportunity to really make big improvements to the products. After improving Stumpjumpers and Enduros for years, it was exciting to think: Wow, we could make a really cool, groundbreaking product in this space. Where we’re at now, there are unlimited things we can do, such as integrated electronic shifting, dropper posts, suspension controls and eventually the goal would even be a centralized unit where each component talks to one other. It’s going to be a while though. In both Road and MTB categories, electronic shifting is still mainly for a pretty elite crowd. Getting that technology to a regular guy spending $3,000 on a standard MTB is already a challenge, so it’s going to be a while, especially once you factor in the added intricacies of an eBike. Where we’re at now, there are unlimited things we can do, such as integrated electronic shifting, dropper posts, suspension controls and eventually the goal would even be a centralized unit where each component talks to one other. It’s going to be a while though…In both Road and MTB categories, electronic shifting is still mainly for a pretty elite crowd. 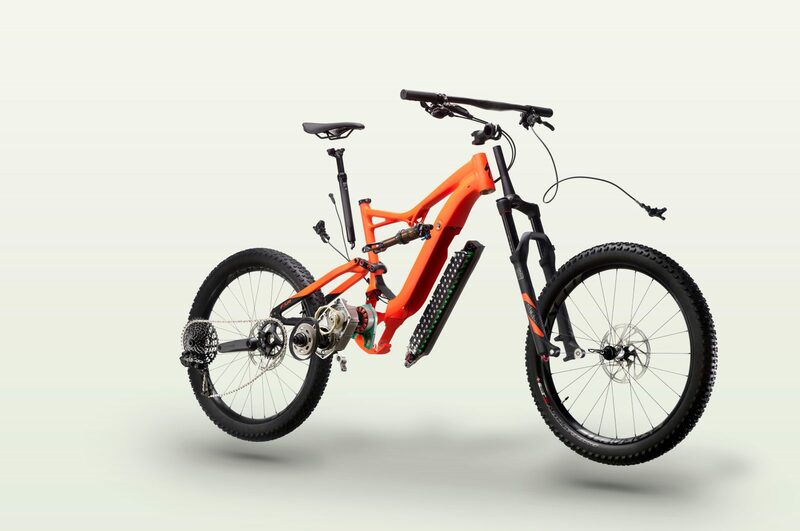 Getting that technology to a regular guy spending $3,000 on a standard MTB is already a challenge, so it’s going to be a while, especially once you factor in the added intricacies of an eBike. There are certainly things that aren’t really being talked about right now regarding batteries and power. When you change the package weight of a bike, how much battery do you really need to power it? 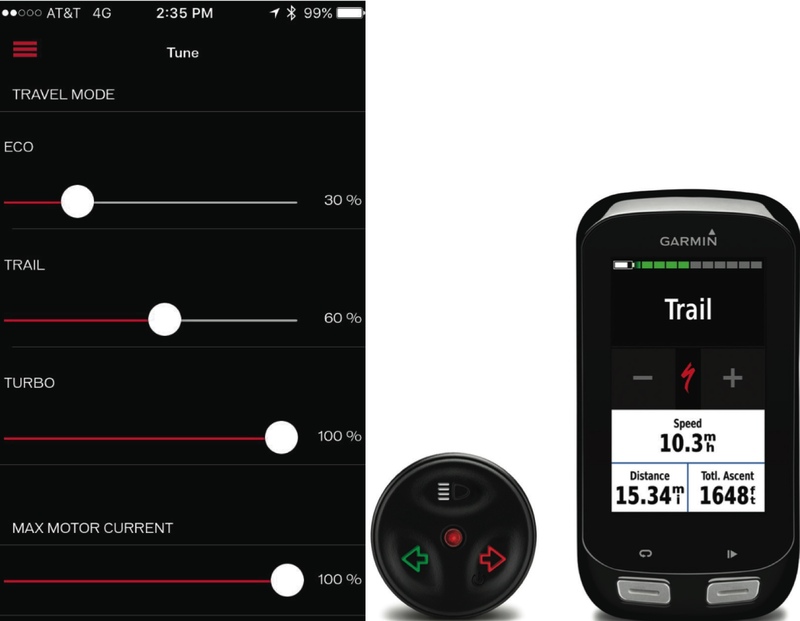 Between a dialed app for smartphones and an intuitive display from Garmin, things are already quite streamlined on the Levo. Generally speaking, as a category, eBikes are in their infancy and will only get better from here. MTB-Mag: So, by getting bike weights down these things should be a little more fun and lively on the downhills? Buck: There’s a lot to be learned there for sure. A lot of the technology is coming from modified motors from pre-existing applications like car windows. There is a great deal of room for improvement through more purpose built motors and overall drivetrain, compared to what exists today. MTB-Mag: Do you think there will be a high performance eBike demand in a few years, if/when they become more accepted? 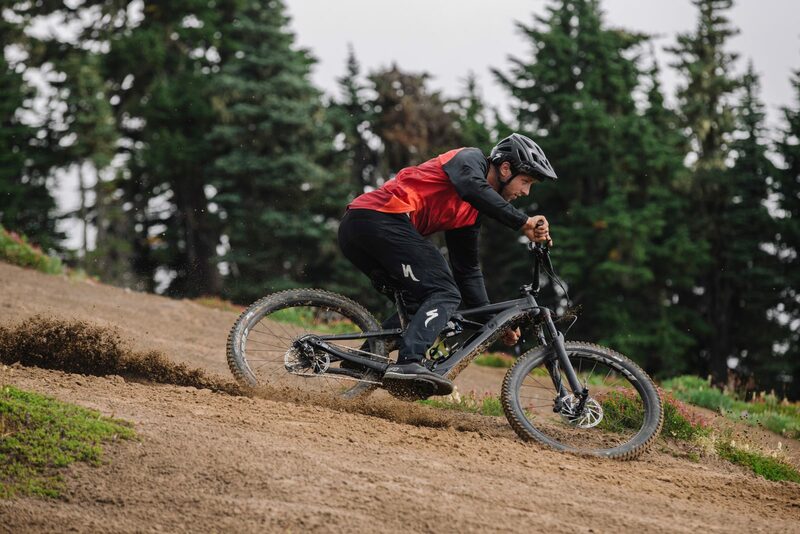 Will there be a day when the rider who now throws a leg over the average enduro bike is mounting up on a 36 pound eBike with 85% of the performance on the descents, but just enough battery to propel him up 4,000 foot climbs with in half the time? In terms of being utilitarian vs. high performance, where are things headed generally speaking? Buck: Yes and no. To get out on some big rides, a great deal of riders are going to need a bit more power than one might think. Take a look at the climb out of Demo Forest and you’ll see loads of people are pushing their regular bikes out. It’s hard to foresee, but I think it might be a bit like motorcycles where you have a 250 and a 450 motor. Those who are a bit more ‘core and fit might gravitate toward a lighter weight, more high-performance model, whereas what you might call a weekend warrior may choose to opt for more power, battery and range even if that comes with a weight penalty. I certainly don’t think you’ll have the hairs split like we do today with standard MTBs which cover Epic, Camber, Stumpy and Enduro. Once you have the assistance, people tend to forgo the necessity of the extremely lightweight stuff. Most riders won’t mind dealing with 150mm+ travel and a bit of suspension bob. Sean: On the other end of the spectrum, I think there is a market for riders out there looking for a very different experience who won’t mind a 40-plus pound bike that has incredible range. For instance, I recently met a guy who rides a Levo and brings TWO extra batteries in a backpack so he can go on absolutely massive backcountry rides – that’s a completely unique experience. If you look at one of our local riding spots called Henry Coe, it’s not considered amazing in terms of trail quality, and to get to the top is brutal (grade wise) but it’s a vast, beautiful place to ride. So, something to consider is that instead of doing hot laps and covering the same over-populated ground time and again, now you can go further out into legal trail networks and explore more, thereby spreading out the impact and enjoying the solitude. These bikes open up viability to a lot of terrain that wasn’t previously easily accessible to many people. I think that’s one of many things a lot of folks are overlooking when thinking about eBikes. Another major overlooked factor is how much time and energy mountain bikers spend getting to their local trailheads. For instance, Ian, you and I live in Aptos – if we commit to driving to the West side of Santa Cruz, there is an excellent chance we’re going to spend an hour in our vehicle making the flat, 14 mile trip on asphalt. I’d love to see numbers on how far the average person drives to their local trail network, and see how that would compare to someone using an eBike to get the trails with respect to carbon footprint, time spent, etc. eBikes are also a wonderful equalizer – as an enthusiast, you probably want to share the experience with friends but I think sometimes we forget that our path to where we are as riders was not necessarily easy. eBikes can serve as a really cool way to get someone who’s unfamiliar with mountain biking out there on the trails while getting past the initial fitness barriers, which often prevent people from getting into the sport. MTB-Mag: We see eBikes as a transformative powerhouse in terms of helping reduce our carbon footprint for commuting – particularly in big cities. We’d think that there would be more of a focus on commuter eBikes than beasts like the 180mm travel Turbo Kenevo. What gives? Do hip San Francisco people not have enough room in their wallets or their $5,000/month 400 square foot studio apartments for a $6,000 earth saving device? Buck: That’s been happening for years before we even got on board; especially in Europe as commuter bikes. One of the reasons that eMTBs took off in Europe was because they’d already been around as commuters. Overall, everybody here has been slow to the game – it’s just not a commuter-driven society on bikes in the States like it is overseas. At least not yet. Sean: Yeah, there are some challenging factors to be sure. eBikes are somewhat cost prohibitive at the moment. The Turbo Vado is a great option for the rider you describe, but there are also other barriers beside cost, such as infrastructure and sharing routes with cars. Additionally, where do you safely lock your expensive eBike in a big city? How do you get it up to your 3rd floor walk-up apartment seeing as it weighs roughly 50 pounds? A lot of people will continue to just use a regular car or existing transportation rather than adopting a new way simply because of the fact what they are already doing is the known quantity. What’s the impetus for change there? To embrace an eBike as an alternative to a car, you have to be really motivated and open-minded. The Specialized Turbo Vado 6.0. If you live in a city, hate traffic and are looking to reduce your carbon footprint, this could be the answer…However, the prices and weights are still relatively high in the eBike commuter world. MTB-Mag: OK, so we have to play devil’s advocate here. There are a great deal of riders who aren’t necessarily against eBikes in a rational sense, but they do understand what eBikes could lead to and dread them because they know that these things flat out WILL lead to trail closures, or at the very least, sadly they’ll lead to access issues. There are angry hikers and eco extremists on town boards at local levels who will indiscriminately hate eBikes without taking a rational look at the positives and negatives of them. 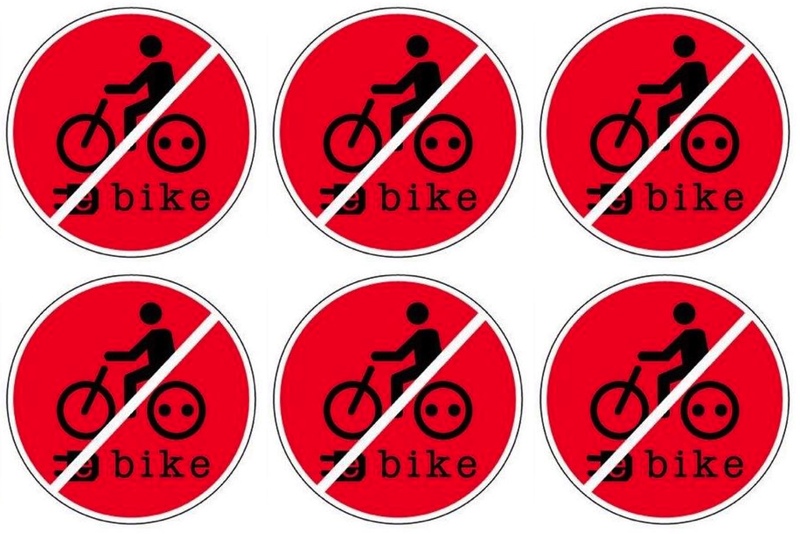 Sean: I fully understand the reality of the situation, I really do, but what bums me out is that the neurotic in me knows that none of the anti-eBike arguments are valid, at least not from a technical standpoint. The reason I say that is because class 1 ebikes are specifically governed to be within the realm of human performance in the first place. 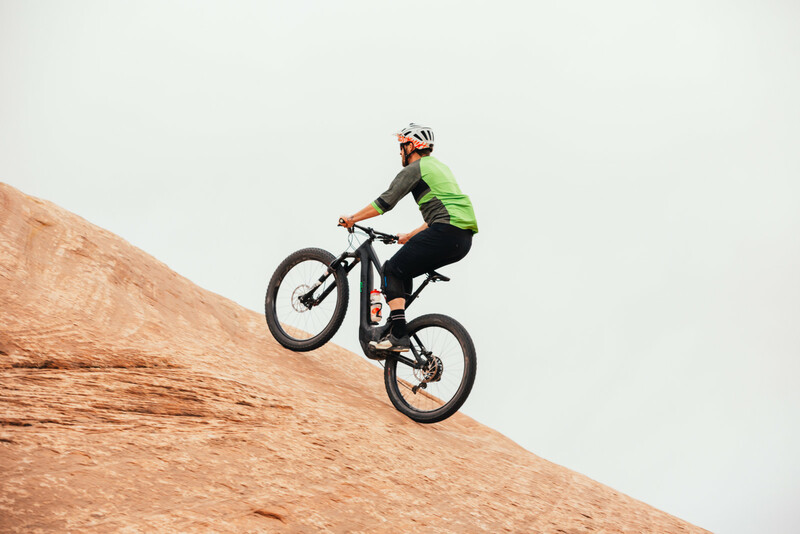 What I mean by that is you can’t go any faster – uphill or downhill – on a Class 1 eBike than, for example, a professional-level athlete could go on their lightweight race bike. I’ve crunched the numbers myself and basically a Class 1 eBike makes a weekend warrior into a 6 watts/kilo pro athlete in terms of ability to climb hills. Technicality aside, of course there’s an emotional component to consider as well—riding is very personal for each of us and no one wants to think about losing access to something we all love so dearly. In that regard, I firmly believe that talking about all of this subject matter is imperative, and that continued education is key. These signs are popping up rather quickly in the US. MTB-Mag: OK, Buck – here’s one for you on the design side. How does the battery weight affect kinematics? Are you requesting heavier damping to deal with the added mass transfer forces? Are you using beefier hardware to handle the added stress? Now it’s as if every rider is the least common denominator…(250 pound sloppy rider)…Will we see MORE new standards to deal with these factors? Buck: It doesn’t really change the kinematics, they are already set it place. It’s more of an issue of sprung vs. unsprung weight. So we need heavier damping and lower air volumes to support the added weight. So no, we haven’t changed kinematics to support eBikes in particular. As for new standards, we’re not getting complaints today that the bikes are flexy, but there are companies that are chasing eBike specific suspension parts in an effort to minimize flex. With more purpose built motors, batteries are becoming more efficient, so if a new standard happens to come along, it’d likely be applicable to both MTBs and eMTBs. 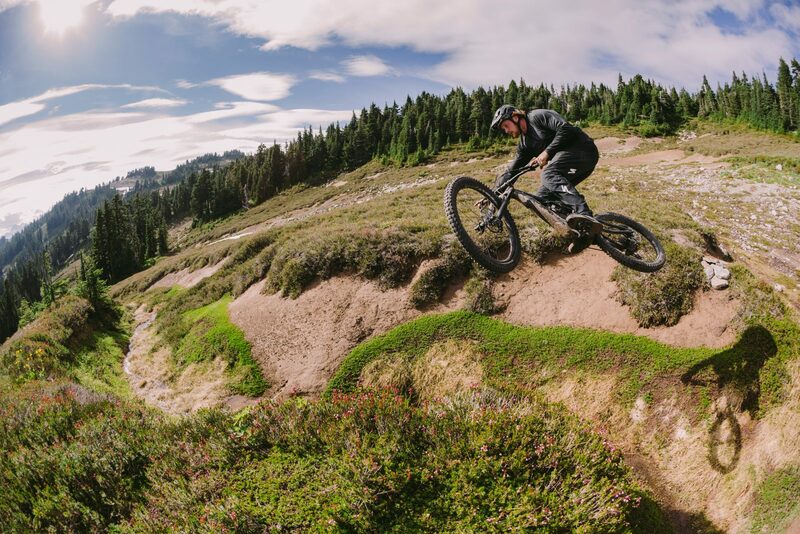 MTB-Mag: With eBikes coming into the picture, are you having a shift in where you allocate resources in a monetary sense? If so, how much (percentage wise, within reason) are you applying towards eBikes in general? Do you see that number tapering off or ramping up over the next few years? Buck: I can’t speak for other companies, but in our case we haven’t had a resource shift per se, we’ve just created more resources. We certainly don’t have less engineers on pedals bikes these days than we did in the past – if anything, we’ve got more. There are some shared parts between Levo and Stumpy, so there is some collaboration…Like you mentioned, we start with kinematics and then design a frame around it to accommodate the battery and motor. The only way that we’d see a huge shift in resource allocation would be if there was a huge decline in standard MTB sales globally. So far, we certainly haven’t seen that. An exploded view of the Turbo Levo. MTB-Mag: OK, totally spitballing and being super theoretical here, but what if this whole thing goes South? Let’s say MTB trail access gets severely choked off and eBikes are all to blame? As a brand, will you guys backpedal? Buck: Hmmm…The closest relatable comparison I can think of would be the ATCs (3- wheelers), but that was different because those got killed due to safety reasons and excessive liability lawsuits. But yeah, if it really hampered trail access, I guess there’d be no choice but to just go back to only making normal mountain bikes. MTB-Mag: Thanks for taking the time to chat with us guys; we really appreciate it!